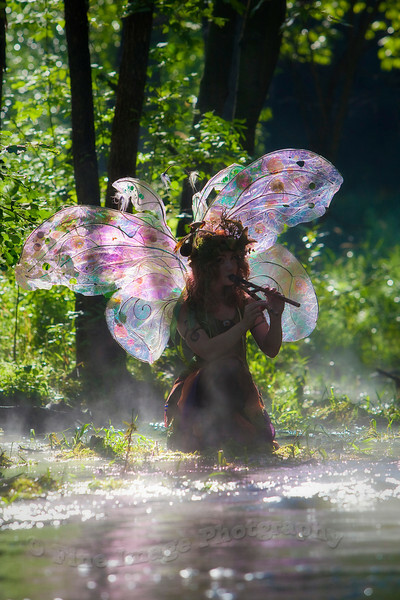 "TWIG THE FAIRY: MISTY MUSICAL MORNING"
Surrounded by fog coming off the cool morning water, Twig plays an enchanting tune. Thanks Elizabeth. All of the images in this gallery were taken in Minnesota, within an hour of downtown Minneapolis. Where were these photos taken? The location is stunning!